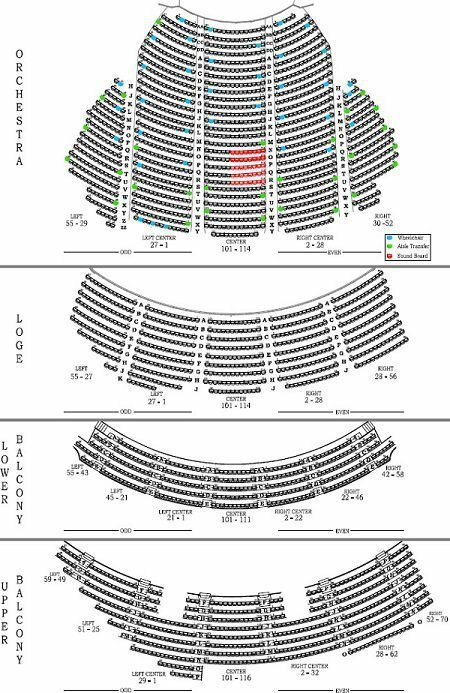 The Beacon Theatre Seating Chart in New York, NY is one of the most confusing floor plans out there. For your convenience we’ve included pictures and detailed seating charts with row & seat numbers (see exact seat numbers below). In addition, find out where the best seats are, and where not to sit at the Beacon Theatre. The seat numbers on the right side of the venue are even numbers i.e. the first four seats are numbered 2,4,6, 8 etc. The same is true for the left side, except these are odd seat numbers 1,3,5,7 etc. The Beacon Theatre seating is configure this way so when ushers look at your tickets they immediately know which side of the venue to direct you to. Another rule of thumb is that the lower the seat number the closer your seats are to the center of the venue. However, the seat numbers for the center sections are normal (101, 102 103 etc.). Are Orchestra Seats the Best Seats at Beacon Theatre? There are three center orchestra sections in the Beacon Theatre, all of them are good. If you are looking at the right or left orchestra sections I would make sure your seats are as close as possible to the center aisle. Some of the seats with higher numbers are marked “partial view”, so you want to avoid those seats. In addition, most seats in row S to Y (in the center orchestra section only) are obstructed by the soundboard. How are the Loge Seats at Beacon Theatre? When sitting in the loge the overhang (from the lower balcony) hangs over rows C to J. Visually this does not create any problems, but if you are a sound junkie, then you’ll hear a noticeable difference if you are under the overhang (starting roughly at row D or E). It’s also good to know that the loge overhangs the orchestra sections at row O.
What’s the Balcony like at the Beacon Theatre? The lower balcony and upper balcony is really considered one section, however, there is a split (or some space between these two areas). If you look at the pictures above you’ll see that the Balcony section is open and comfortable. The view from the lower balcony to the upper balcony does change a significant amount but so does the price of tickets. If you are looking for the cheapest tickets to the Beacon Theatre, that are no obstructed you won’t go wrong with seats in the sides of the lower or upper balcony. Even the most right or left sections have unobstructed sight lines. Note: the lower balcony overhangs the orchestra at row M.
In my opinion the best seats at the Beacon Theatre for a concert are one of the first couple rows of the loge, or the first 10 rows of any of the center orchestra sections. Also, depending on the seat numbers the side orchestra seats can also be a great deal. 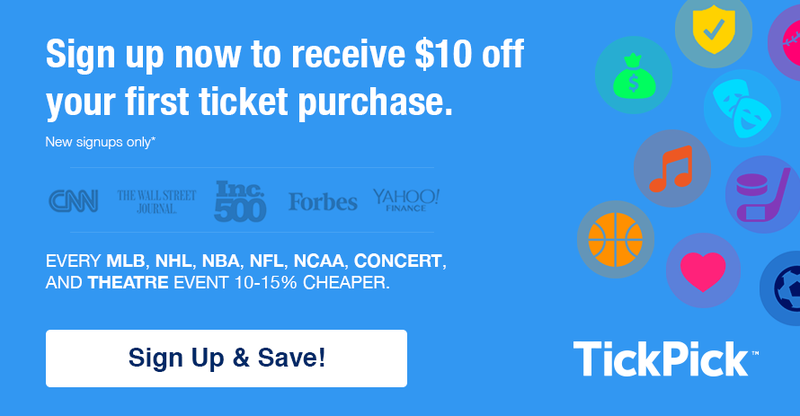 If you are looking to buy tickets make sure to check out TickPick as there are no buyers fees and prices are 10-15% cheaper than the competition: Beacon Theatre tickets.